Sometimes it’s mentioned as Krimni, other times as Grimia or Gremiani. In fact, “Gremiani” comes from the word “gkremos” which in Greek means cliff, referring to the village’s old position before it was relocated. In the old village of Kremni, in the ruins, there is the restored chapel of Agios Nikolaos, a basilica built in 1860. 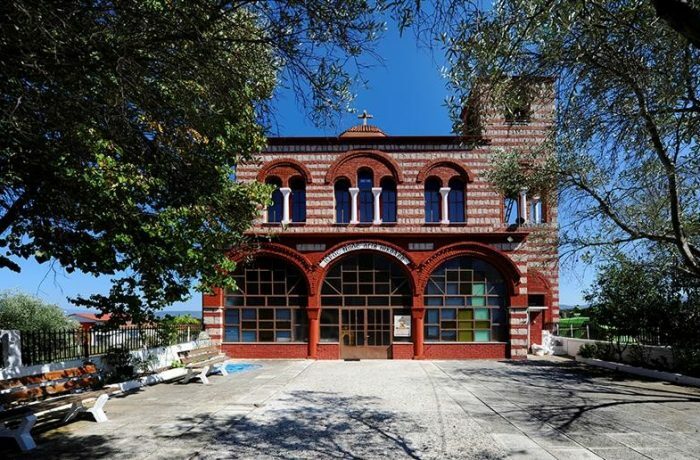 On the northern side of the new village of Krimnos and about 2.5 km away, near the torrent of "Tramkakos", there is the newly built chapel of Agia Paraskevi, in the place of the old one, at a truly magnificent location of plane trees, holly and walnut trees. Each year July 26th is a three-day celebration in honour of the Saint.